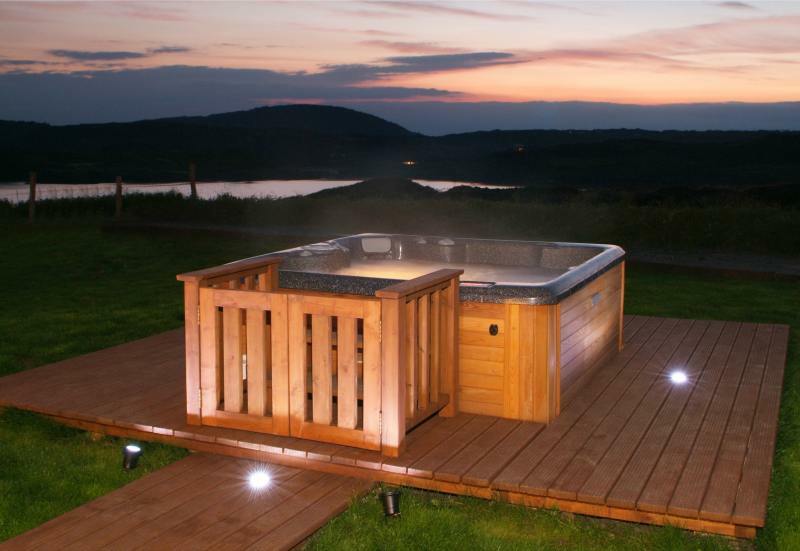 - with your own Hot Tub, open fires and a setting second to none in Ireland! Time off work, be it the main summer holiday or just a short break, is precious to everyone. By choosing Trag Retreat you can be assured that an extra special break awaits you. The sensation of stepping into hot tub, sinking in to the bubbling water (a glass of wine in hand!) looking at the stars and smelling the sea is a holiday experience few can match. On a cold winter's night plunging into the warm water (the temperature of the water can be set to your own requirements) in this idyllic setting starts the perfect weekend wind down. If you fancy a drink, you can stroll down to the local lively Pub, which has live music at the weekends. If you love your food West Cork really is the place for you with an eatery to satisfy everyone's taste and budget from small gourmet health food cafes to world class restaurants. Cork Airport is just a one hour drive from Trag Retreat. You can fly into Cork from most major UK and European cities. So your relaxing short break is only a couple of hours away! Short Breaks are available between October and April with the exception of Mid term, Christmas and Easter.